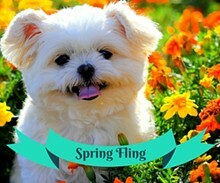 Spring has sprung and we are so excited to share a family fun event with loving pets and springing plants! Nothing says “welcome home” like a wagging tail and the smell of fresh flowers! Wonderland in proud partnership with SA Pets Alive is presenting a fun way to bring your four legged family member out and enter in the Fiesta theme parade, find some plants to spruce up your home, value shopping and entertainment!